There are many schools and institutes that provide on-campus and online training courses for health coaching and certification. Most of these schools offer certification training in the $3,500 to $11,000 range, depending on the scope of the program that you enroll in. There are other programs in the $900 to $2,000 range. If you are interested in starting your own health coaching or consultant business, you may want to consider taking an online course. They are often affordable, self-paced, professional and can give you very specific information for your area of need or help you clarify your life direction and career path. Here are several examples of these types of schools and companies that provide health coach training. A Word of Caution: Before you send any money, call at least 3 of the schools and talk to a real person. Do your homework and be prepared with specific, in-depth questions! Look for substance on their site-- don't fall for the pretty pictures or videos! And, don't sign up with a school because someone else said it was a good place to learn! Take into account how long it takes for them to respond and whether they are transparent with their answers. Duke University is on the forefront of change in the realm of preventive care, accentuating self-responsibility and honoring patient value systems. They are taking major steps to add credibility and validity to the health coaching profession by way of research and upcoming policy change. Duke boasts an incredibly inspiring health center on their campus in Duke Integrative Medicine, that serves the patient or client in numerous alternative health therapies in addition to traditional physician-focused care. Since 2008, Duke has been leading the Duke Integrative Health Professional Coaching Training for people who are interested in changing careers, or adding onto their current training. Wellness coaching, from their standpoint, is much more than goal setting for nutrition or weight loss. They emphasize the client-centered approach in a way that promotes the client’s own self-discovery. Through dialogue, discussion of values, motivation and personal experiences, the client begins to choose their own goals. Readiness and confidence levels are assessed, both through introspective self-assessment check-lists, and through informal, but highly trained, guided client-focused conversation. Their program involves some on-campus instruction, in the form of modules. A week of full day classes are held approximately once a month for 3-4 months during their Foundations course. 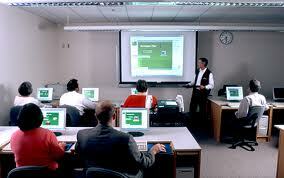 There are also online assignments between classroom sessions. 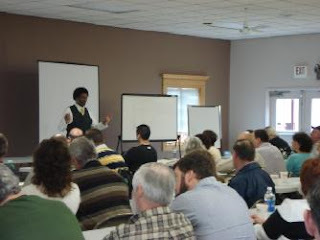 A second series of classes are given during their Certification training, and students are required to conduct practice and real-life coaching sessions as part of their qualification process. Taken back to back, the entire coursework lasts about a year. Duke University is a highly respected university and this formal learning program that can lead to Certification in a year is highly competitive program. For those who are already in the medical and health field this is a very good program, attending this program will show that you have a true dedication to learning and will reflect favorably upon you. The Institute for Integrative Nutrition provides an online training program offering a one year (48-week) course to become a health coach or counselor. The Health Coach Training Program is specially designed for people who are passionate about health and wellness. Whether you’re interested in learning about nutrition, launching a meaningful new career, or even changing the world, Integrative Nutrition will empower you to transform your life and achieve your personal and professional goals. The IIN's curriculum covers over 100 dietary theories and combines counseling techniques with real-world business training. Its nutrition philosophy takes a holistic approach to wellness and encourages students to consider relationships, work, exercise, and spirituality as essential to building good health. Their health coach training program began in 1992 and is focused on holistic nutrition. The Institute for Integrative Nutrition prides themselves on being the largest nutrition school in the world, but, that shouldn't be your primary reason for attending. This school provides education on health coaching, nutrition, healthy lifestyle choices and business management. They provide business counseling, as well as assistance getting your coaching website up and running within about 6 months of the program. Founded in New Zealand in 1978, ACHS launched in the United States in 1989 and became the first accredited completely online college offering holistic health education, with certificate, diploma, and undergraduate and graduate degree programs. The American College of Healthcare Sciences is accredited by the Accrediting Commission of the Distance Education and Training Council, an institu­tional accrediting body recognized by the Council for Higher Education Accreditation and the Secretary of the U.S. Department of Education.Your ACHS education is accredited by the DETC and recognized throughout the holistic health community. Career areas include Master herbalists, herbal consultants, Health food and natural health retailers, Herbal and dietary supplement manufacturers, Natural cosmetic or aromatherapy manufacturer, Natural health marketers and retailers, Holistic health clinic owners., Aromatherapists, Homeobotanical consultant, Holistic health practitioner, and Natural health educator, coach, speaker, or writer. The Dr. Sears Wellness Institute offers three L.E.A.N. Coach Certifications that are designed to get students their certification within six week – longer if they take more than one program. Certification allows the individual to begin working as a health coach, teaching the L.E.A.N. programs and principles of living happier, healthier, longer lives by making positive Lifestyle, Exercise, Attitude, and Nutrition (L.E.A.N.) choices. The program encourages those who have their certification to teach their programs, give workshops and seminars and they provide marketing tools, materials, and strategies to help you achieve your goal. This program is designed to be very hands on and to give their health coaches full support in their careers. Dr. Sears Health Coach Certification programs provide advanced nutrition and wellness education, utilizing science-based curriculum and state of the art interactive online classrooms. You can become certified in one or more of the following areas: Families, Pregnancy, or Adults/Seniors. A Dr. Sears Health Coach Certification gives you the ability and tools to work with individuals or groups in settings such as corporate wellness, schools, medical centers, community groups. The Dr. Sears Wellness Institute was established to in 2001 by Dr. Bill Sears and exercise physiologist Sean Foy. In 2010, they introduced online Certified L.E.A.N. Coach Training and Certification courses to accommodate international coaches and those who were unable to travel to an in-person training. For people who are coming into this field without any medical background, this is a very good program to take. 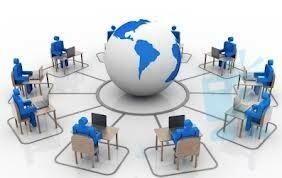 It has a comprehensive and easy to understand curriculum that is online and has excellent student support. For those who want to own their own business, once you are certified through one of their programs the Institute will help you with your marketing. For those starting out in the field, this program is highly recommended, especially because of the amount of support that students receive during and after certification. The NSHC offers a Health Coach Certification, which is the NSHC’s Certified Health Coach, CHC. This certification is only open to licensed and credentialed healthcare professionals, i.e. physician, physician assistant, doctor of chiropractic/podiatry, nurse practitioner, RN/LPN/LVN, therapists, dentist, licensed dental hygienist, registered dietician, certified nutrition specialist, psychologist, certified diabetic educator (CDE), pharmacist, certified athletic trainer, certified exercise physiologist, and licensed acupuncturist. This self-study program includes online skills practice, skills competency and testing. The NSCH was founded in 2007 on the premise that healthcare professionals could positively affect patient/client compliance to both improve outcomes and reduce costs by combining evidence-based practice interventions with the science of motivational interviewing. NSHC's health coaching education and certification program will continue to evolve in tandem with research, clinical best practice and health care reform. The NSHC program is a highly respected program and they have a unique evidence-based health coaching approach. A certification from this program will certainly give any healthcare provider a nod of approval from their peers and it will make them more likely to be hired. For those that do not already hold a licensed or credentialed healthcare profession, completing the program for the certificate of completion will show that they are willing to go the extra mile to learn and that they have received a completion certificate from one of the top programs in the nation. Developed primarily for those who have experience working in the fitness and exercise field, the ACE Health Coach certification is purposed to expand or bring to the next level the career of fitness professionals looking to integrate a whole-body/mind approach to helping their clients. For this certification, you have the option of purchasing just the exam voucher or the exam and one of two self-study packages. The “Standard” package includes ACE Academy which consists of weekly email courses reminding you to keep your studies on track. The “Premium” package includes ACE Academy Select, which implements a presentation-based curriculum. This package also has an extra practice test and free re-test voucher. In order to sit for the ACE Health Coach certification exam you must have a current CPR/AED certificate along with either a current NCCA-accredited certification, or an associate’s degree or higher. Comparable work experience in fitness, nutrition or related fields is also considered and may take the place of the degree or certification requirements. ACE is the only organization whose health coach certification is accredited by the National Council on Certifying Agencies (NCCA). This distinction means the certification has been officially recognized as a credential whose holders are competent professionals in the field of health coaching. As a result, it may be more highly regarded by others and may create more employment opportunities in certain settings. The Wellcoaches Core Health Coach Training program takes 18 weeks to complete and culminates in an oral and written exam for the organization’s Health and Wellness Coach certification. This certification is required to enroll in the Wellcoaches Professional Health Coach training program, which consists of a 10-month curriculum. A bachelor’s degree or an NCAA-accredited certification with at least 2,000 hours of work experience in a health related field is required. The Wellcoaches Health Coaching Program incorporates the effectiveness of evidence-based coaching skills and learning innovation to develop health coaches that can provide long-term wellness and health improvements for their clients. Established in 2000, the program tackles some of the most significant health obstacles facing our society including obesity, inactive lifestyles, depression, bad eating habits and stress. The HealthSciences Institute provides the Registered Health Coach (RHC) program, which supports the application of evidence-based health coaching approaches to improve engagement and patient-level outcomes across health care disciplines and settings. The RHC program, which is grounded in the science of health behavior change and learning, was developed in partnership with experts in the field, including NIH-funded health coaching and behavioral medicine specialists. The Registered Health Coach (RHC) program and the Health Coach Registry have been developed with three aims: 1.) Support the application of evidence-based health coaching approaches demonstrated to improve engagement and patient-level outcomes across health care disciplines and settings; 2.) Provide a validated pathway and learning opportunities for building proficiency in these approaches; 3.) Assess and recognize individuals who have established proficiency in evidence-based health behavior change approaches, as well as programs/organizations that support their routine use. RHC reflects ten years of experience at HealthSciences Institute training thousands of practitioners in the generation of chronic disease prevention and chronic care improvement interventions that has been demonstrated to deliver better patient-level outcomes in over 300 rigorous clinical trials. The Institute for Professional Excellence in Coaching (iPEC) provides a health coaching in-classroom program that includes training in your choice of a specialty area over a 7-month period. Specialty areas include life, health and wellness, corporate, professionals, executive, educator, relationship, transition, teen, and small business, in addition to your primary live training modules. Discovered and developed by iPEC Founder Bruce D Schneider, the program is founded on more than ten thousand hours of research and application over the course of 30 years. This inter-disciplinary process has its roots in psychotherapy, holistic concepts, Neuro-Linguistic Programming (NLP), mentoring, consulting, quantum physics, metaphysics, adult and accelerated learning theories, emotional intelligence, leadership development, and theories of conscious evolution. If you already have a B.S. degree and only need training in a couple of specific areas, then, you may want to consider signing up for various online courses at places such as Udemy (http://www.udemy.com/). Founded in 2010, Udemy is funded by Insight Venture Partners, Lightbank, MHS Capital, 500 Startups and other investors. Udemy provides individual training courses; and, Udemy is unique in that it also has a platform that allows you to provide your own online training courses to your employees and customers. The Institute for the Psychology of Eating (IPE) provides online health coach training that certifies you as an Eating Psychology Coach. This training will enable you to work with the most commonly seen eating concerns, i.e. weight, body image, overeating, binge eating, digestion, fatigue, immunity, mood, etc. The HealthCoachTraining® Program combines the skills of professional coaching with health training, and teaches proven marketing and sales systems to attract clients and coach them by means of a web-based virtual coaching office. The Mayo Clinic Wellness Coach Training is an 11-session course that prepares students to work as Wellness Coaches by combining online and on-site learning that maximizes potential for individual growth; and, providing opportunities for group interaction and practice. The Body Mind Institute provides an array of health-related courses and programs from educators, speakers, authors and institutions to enable you to receive certification from the courses you take. The Body Mind Institute and teachers provide courses, tools and support delivered through interactive online media to your computer at your convenience. Interactive video streaming is delivered through our web portal along with PDF handouts, voice over PowerPoint segments, activities and ongoing automated quizzes that immediately test the student's knowledge. The Spencer Institute provides a Wellness Coach Certification program, which expands beyond coaching models currently used in wellness coaching. The program teaches concepts tied to the overall coaching experience, from how you train to be a coach, on up to application of skills with clients. The Wellness Coach Certification training course is presented as a client-centered approach to facilitate wellness coaching, through the use of behavior change strategies and sound coaching practices used in the field currently. 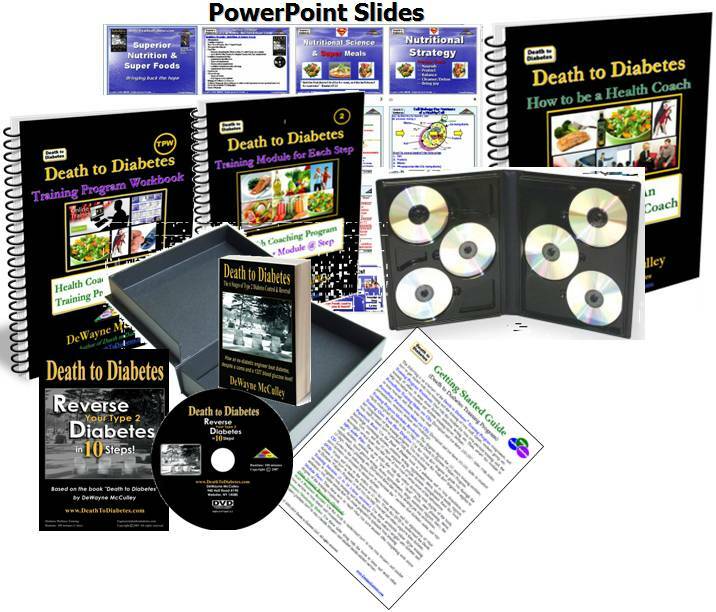 The Death to Diabetes, LLC company offers three training certification programs: health coaching, nutrition, and train-the-trainer. These programs are designed to train licensed healthcare professionals in the areas of medical science, alternative science, diabetes, obesity, and nutrition; along with business and marketing training. The types of healthcare professionals that have been trained include health coaches, naturopathic doctors, diabetes educators, nutritionists, health advocates, wellness consultants, nurses, retired doctors, and corporations (with wellness initiatives). These programs are unique in that they educate the students first and then show the students how to train others, including their clients, their staff and their community. As a result, many of the smaller companies benefited from this type of training because they were able save thousands of dollars by implementing some of their own training; and, in turn, enabled them to grow their business and increase their revenues. The program is a self-paced online training program that consists of online training sessions (with PowerPoint slides) and a physical kit that is shipped to each student. The kit consists of 3 boxes, with books, CDs, DVDs, PowerPoint slides, etc. 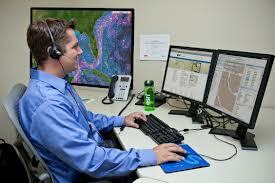 The live training is provided via the phone, Skype and/or the Internet. There is also a less-expensive version of each program that is 100% online and does not include any boxes being shipped to you. 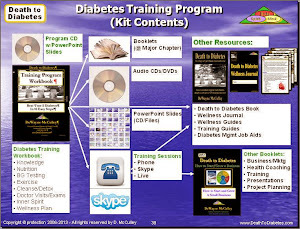 The training program is based upon the book Death to Diabetes, which is now one of the top-selling diabetes books in the U.S. and around the world. This book explains the major root causes of Type 2 diabetes and how to properly control and reverse the disease. 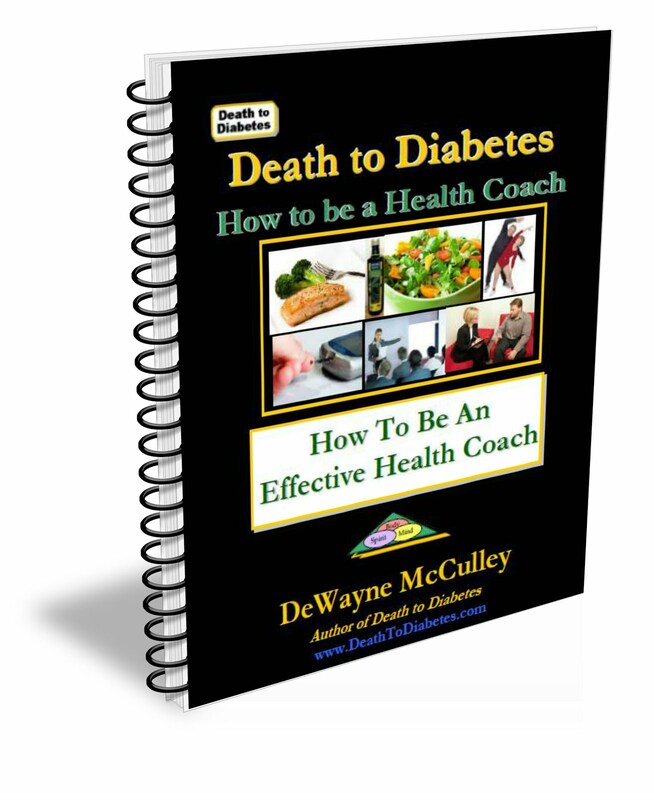 This is based on an easy-to-follow, systematic 10-step process, 200+ clinical studies/medical references, the science of diabetes, and the experience of an ex-diabetic engineer. As previously mentioned, most of these schools offer certification training in the $3,500 to $11,000 range, depending on the scope of the program. There are other programs in the $900 to $2,000 range. The key to understanding the tuition of a program is making sure you know exactly what is included within the cost -- so that you're comparing apples to apples. Some programs appear less expensive, however, when you study them further, you find hidden charges, such as needing to hire your own mentor coach, purchase additional books, and/or pay for business development coaching or kits. Health coaching is a collective and highly individualized service that concentrates on enhancing wellness and health. It develops a person’s ability to attain short-term and long-term health objectives. Whether its achieving overall well-being or addressing a particular health-related problem, the main emphasis is always on improving your patient's or client's quality of life. Certain health coach certifications are better suited for clinical health care professionals, while some are a better fit for those wanting to take on a business or entrepreneurial role. Either way, it doesn’t matter if you’re already in the healthcare or fitness field or whether you’re just getting started. If you have a sincere interest in helping others achieve true health and well-being, the growing field of health coaching is definitely worth getting into to advance or supplement your career.